Two hours north of Las Vegas is a desert town by the name of St. George, Utah. I had the pleasure of traveling up that way to spend the day with one of my favorite people in the whole wide world who also happens to be my writing sister and friend, Tanya Lily-Reid. There is a place only minutes from her house that I have been wanting to visit for over a year. 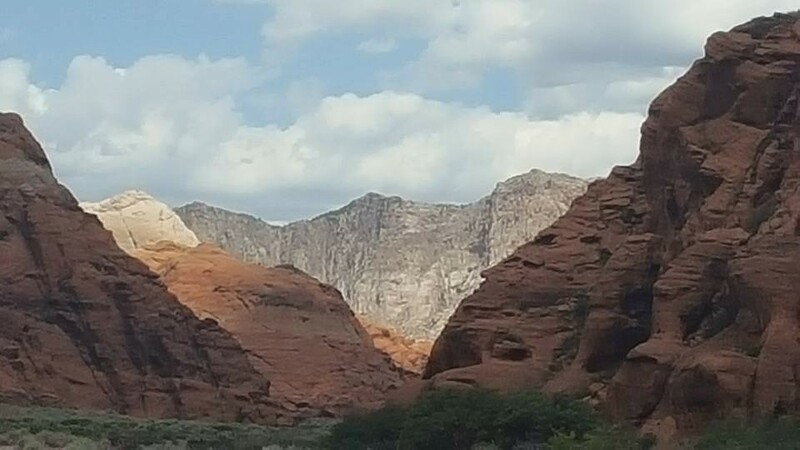 It’s called Snow Canyon and I’m not sure that I’ve ever seen something so majestic and magical. Inside that canyon is a slot canyon that is named after a young girl that fell from one of the high cliffs to her death in 1994. It’s called Jenny’s Canyon and if you ever find yourself in southern Utah, you have to pull off the Interstate and take the short drive. You will not be disappointed. The reason I’ve been wanting to see it actually starts about 2 1/2 years ago when Tanya was driving down Snow Canyon Parkway. The road sits above the canyon and it’s a road that my friend has traveled many times. Tanya is a writer and for those of you that know me well, you know writers have huge imaginations and something that sometimes borders on supernatural, when it comes to storylines and characters for our books. On this particular day, Tanya connected with a soul named Jenny who spoke to her the way our imaginary friends often do. They tell us their names and the story they want told. I know this sounds strange, but this is how, as writers, we do what we do. Tanya connected with Jenny and from that point on, Jenny has always been in Tanya’s head, whispering details about her life. Fast forward more than a year and once again, my friend found herself on the Parkway just above Snow Canyon. 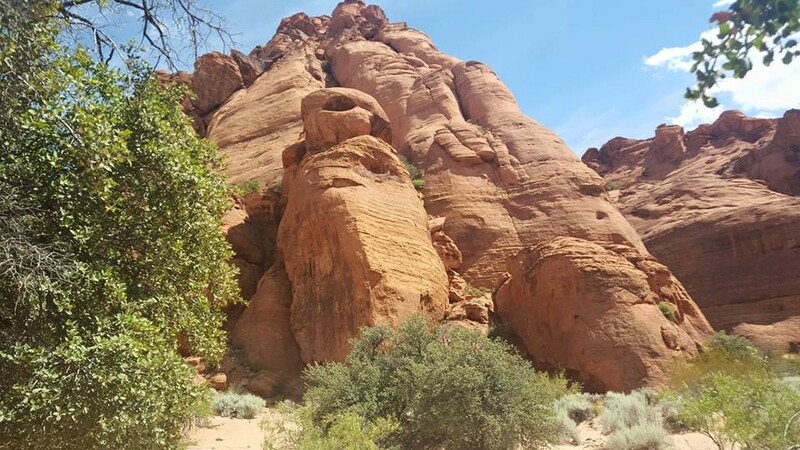 She decides that day to make the left turn that will take her down into the canyon proper and drove the dusty dirt road that offers spectacular views of red rock bluffs and beautiful desert sage brush. 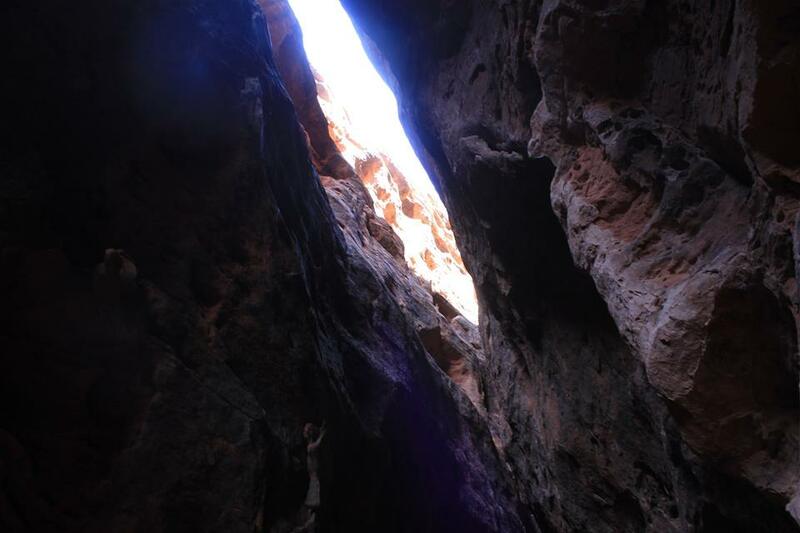 She drives to the ranger station and picks up a map and is astonished to find a slot canyon labeled, Jenny’s Canyon. She realizes instantly that the Jenny that has been speaking to her for a couple of years and the Jenny that the canyon is named for, are one and the same. 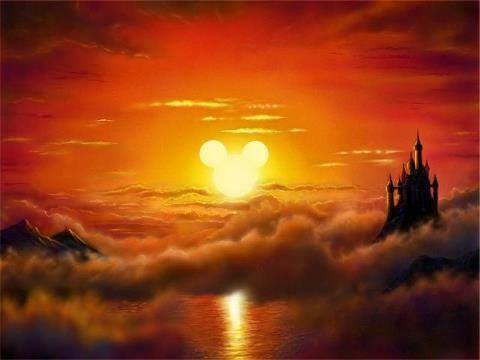 Yeah, I know how that sounds, but there’s some things in life that can’t be explained and for those of us that tell the stories, it’s a magical connection. She pulls off the road at the marker for the canyon named after a young teenage girl and begins the short hike back to the canyon. She is alone and at this point, very emotional. You can only imagine what it must feel like to have someone in your head that you were quite sure didn’t really exist in real life and then to feel her very real presence in the middle of the desert. There’s times like this that we, as writers, question our sanity and Tanya was no different. The emotions were so overwhelming that Tanya never actually made it back to the slot canyon and returned to her truck, crying and shaken. She videotaped her experience sitting in her vehicle that afternoon and I’ll never forget when I saw her raw, unedited footage of her discovery. When I watched the short five minute video, I could hear the shakiness in Tanya’s voice and I could feel her bare emotion. How was this even possible? Many of you who don’t understand how storytellers think, will probably scoff and be a skeptic, but not me. I knew without a doubt that what my writing sister experienced was real. I got goosebumps and watched the video another two or three times. I knew right then, that someday I would go to Jenny’s Canyon and see it for myself. 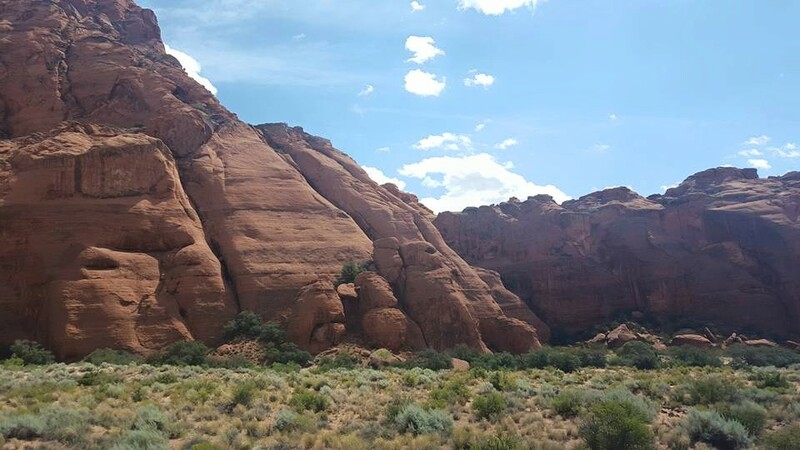 When planning this trip, I knew I had to take a day and travel up to Utah to see not just my soul sister, but to see Snow Canyon and to see where this mystical event occurred. So, yesterday, I found myself in Tanya’s car and when she pulled into the larger canyon, I was blown away with how beautiful it is. She traveled that same dusty road down to the ranger station where she picked up the map that day and turned her car around to start back down to the marker. As she made the u-turn, my eyes filled with tears and by the time we made the 1/2 mile trip to the marker, the tears were flowing freely down my face. I could feel something out of this world reaching out to me. It was Jenny. She was speaking to me as she spoke to Tanya and again, I know how strange that sounds, but I swear it to be the truth. We pulled off the side of the road and got out of the car. With every step towards the sand-stone cliffs, I could hear the sweet voice of a young girl. I could hear her laughter, I could feel her love of life and I could feel her sadness. My feet sank deep into the hot desert sand and my eyes took in the beauty that is the canyon. I’ve never seen anything like it in my life and I struggled to keep my emotions in check and to keep my heart steady. We stepped off the path long enough to let a family go by and to discuss where exactly we were hiking to. 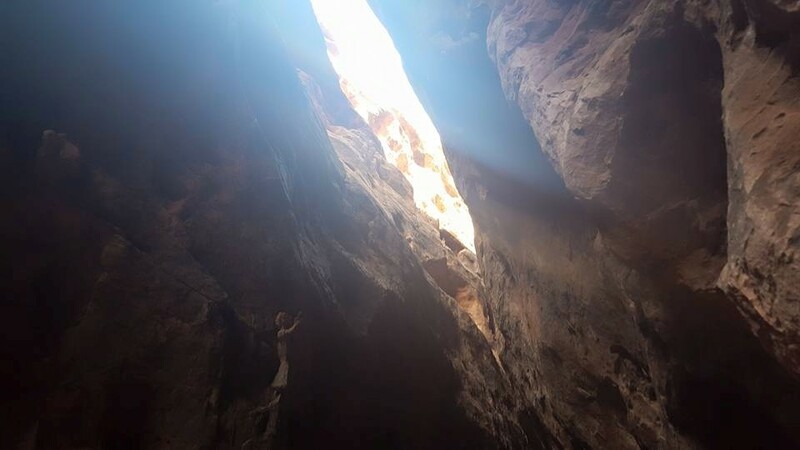 The day that Tanya discovered that Jenny was real, she was too emotional to make it all the way back to the cool and shaded slot canyon where Jenny died. But, today, we had each other for support and hiked the short distance that brought us to her marker and to the beautiful canyon. We had to climb a few rocks and then around the corner, the canyon came into view and I was awestruck. 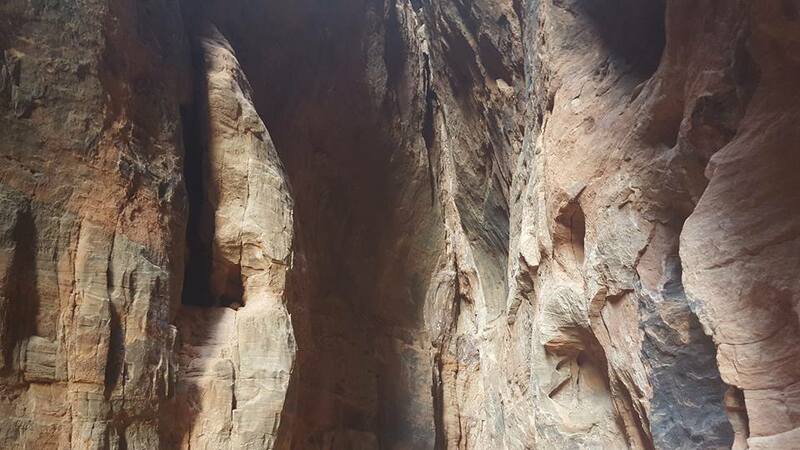 The walls of two towering cliffs rise straight up from the desert floor and between the red colored rocks is a shaded, quiet area that makes you feel like you’ve left planet earth. 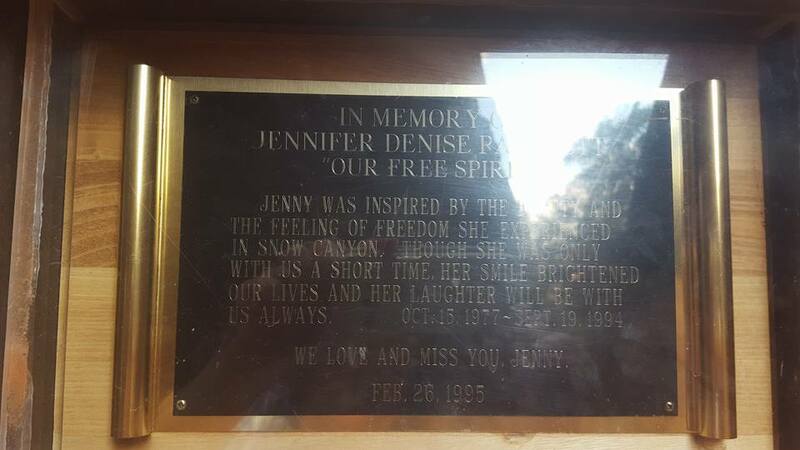 As we entered the deep canyon, we found a memorial to “our” Jenny. More than twenty years ago, a young, vivacious, adventurous girl loved coming to Snow Canyon. She never left. With every step, I felt her spirit and as we journeyed deeper into the canyon, the silence was deafening and the air was still. I have a feeling that before Jenny, this place was sacred, but since Jenny, this place is reverential. I could feel Jenny, but I could also feel souls from before her and as hard as it might be to believe, I could feel God in this place. This little space between the towering cliffs and boulders is like no other place I’ve ever felt. It’s special, entrancing and spellbinding. The veil between this world and the next is very thin and transparent and I could almost believe that with a blink of my eye, I really could see beyond this world into the world where Jenny now resides. 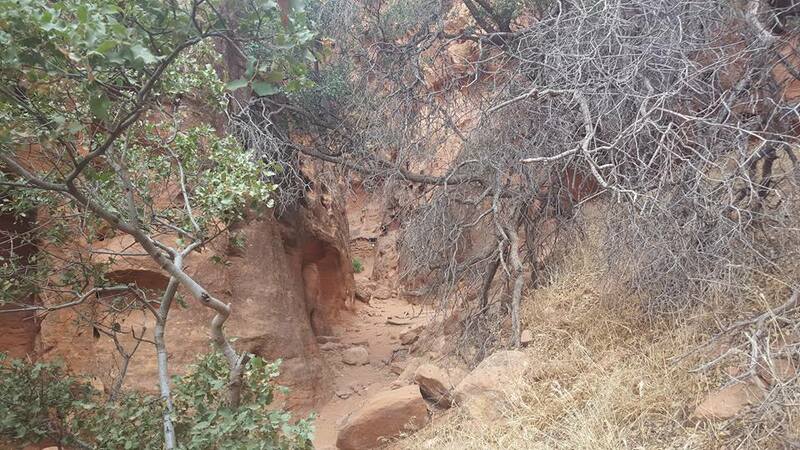 The quiet of the canyon is undisturbed and the beauty of it is unequalled. I reached out to touch the stone walls and I felt a slight vibration that made me think of paranormal phenomenon and worlds that we normally can’t see or feel. To say that it was a spiritual experience for me is an understatement. I will never forget my hour spent at Jenny’s Canyon in southern Utah. End of story, right? Wrong. Both Tanya and I snapped a few hundred pictures. Her with a 35mm professional camera and me with my smart phone. We wandered the small enclosed canyon snapping away and never once did we stand next to each other and purposely capture the same image. But something stranger than this story happened later in the day when I was on my way back to Las Vegas. Tanya sends me a picture on my phone which I only glance at quickly as I’m driving down the Interstate at 75 miles per hour. When I looked at the picture, my arms quickly dimpled with goosebumps and I threw the phone down on the passenger seat as if I had just been burned. Only one small glance, but I know what I saw. Take a look at these two pictures side by side and keep in mind that one was taken by Tanya and the other was taken by me. Minutes apart. I had no idea she had snapped the first picture that you see and it wasn’t until I got back to Lee’s house that I looked at the photos on my phone. I took the same picture. Look closely at the two pictures and you will see some things that shouldn’t be there. I see Jenny two times in each picture. And, in each picture she is different. You can tell me that it’s just rocks and stones and the way the sunlight filters into the canyon. I could almost buy that explanation and simply call it matrixing, but ummm…..stones can’t move. Spirits can. If I live to be one hundred, I will never forget my time spent with my friend, Tanya and my spirit friend, Jenny. I will never forget the feeling of the hot sand between my toes and the voice of God in my heart. There’s not many days in our short lives that are this significant, this special and this glorious. My heart is full today and the tears have run down my face even as I wrote this piece. For me, there will never be another place as sacred and important as Jenny’s Canyon. I’m blessed, grateful and touched to have experienced Jenny’s soul and spirit. Validation of life in the biggest way possible. What a beautiful, breathless story ! 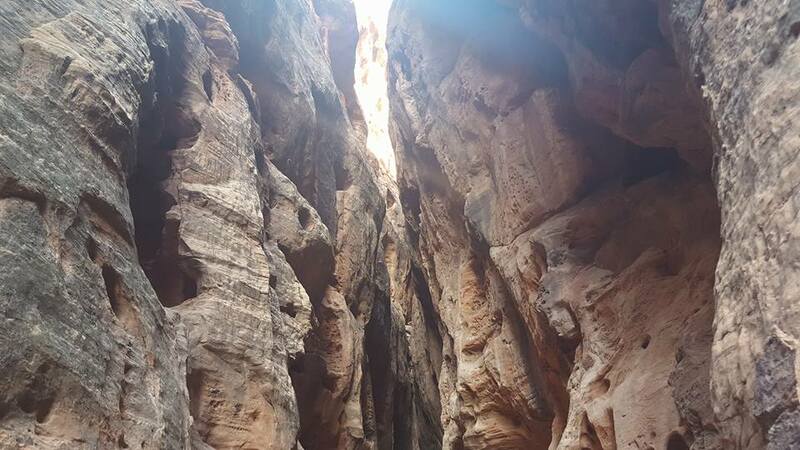 I was in this canyon 2 years ago, and i know that if i ll go back one day, i will never feel the same again ! 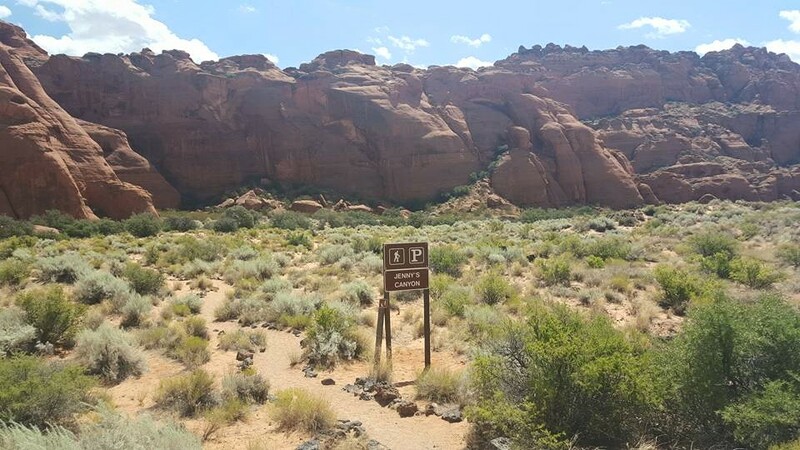 Pingback: J9 : Zion NP / Snow Canyon SP – Complètement à l'Ouest ! 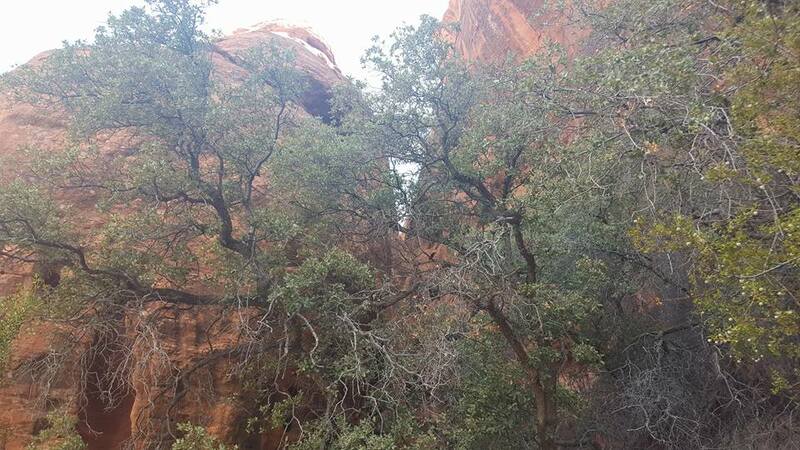 Pingback: J9 : Zion NP/ Snow Canyon SP – Complètement à l'Ouest ! We just visited, what a heartfelt story especially since having 4 little children of our own with us. My heart goes out to the family!